A round challah is traditionally served for Rosh HaShanah. While all Jewish holiday foods are rife with symbolism, those of Rosh HaShanah are particularly poignant and heartfelt with hopes and wishes for the new year. We eat foods that are sweet as we hope our judgement will be, round to symbolise the circle of life and G-d’s endless sovereignty, or that grow in abundance, to symbolise fertility and prosperity. 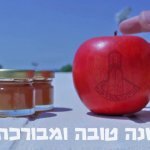 Every Rosh HaShanah table, wherever Jews live, is sure to sport apples and honey. Apples are not only sweet, but are also considered, in the mystical traditions, to represent the Shekhinah, the feminine aspect of G-d, as we appeal to the softer side of our Judge. It is customary to eat a new fruit of the season on the second night to be able to say the Shehekheyanu, the prayer that celebrates doing something for the first time. 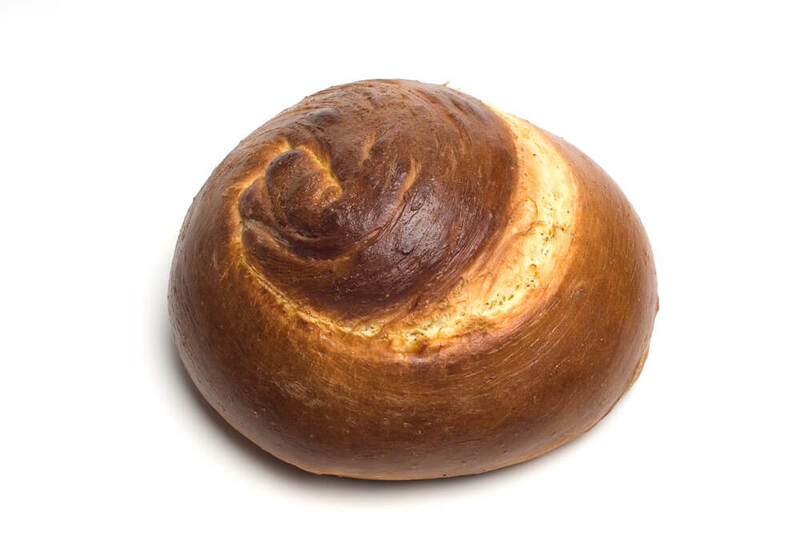 Our Challah bread is braided in a round shape, often studded with raisins for extra sweetness. Some add the shape of a ladder, symbolising the ladders that G-d is said to make on Rosh HaShanah to raise us up. We also dip it in honey for the blessing over the bread, rather than the customary salt. Ashkenazic (or Eastern European) Jews will also eat tzimmes, a dish of carrots baked with honey. The Yiddish word for carrot is mehren, which also means to increase. 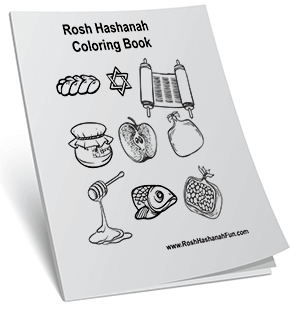 This kind of symbolic word-play is very prevalent in Rosh HaShanah cooking. Of course any Ashkenazic holiday meal is likely to include gefilte fish, brisket and matzoh ball soup! Sephardic (or Oriental) Jews have gone so far as to establish an entire seder for Rosh HaShanah dinner, with many symbolic foods: the head of a sheep or fish (that we should be the head and not the tail), leek patties (the Hebrew name is related to the word for destruction, as applied to our enemies), swiss chard latkes (the Hebrew name is also related to the desire to be quit of our enemies) and pomegranates (that we may be as full of good deeds as the pomegranate is of seeds). Each symbolic food is accompanied by a special prayer referring to the desired blessing.